Katherine Roberts is the Senior Curator at Manly Art Gallery & Museum where she develops and manages exhibitions with associated public and education programs. Katherine also helps coordinate the Public Art in Manly program and annual Manly Arts Festival. Previously, she has worked at the S.H. Ervin Gallery and Museum of Contemporary Art, Sydney. 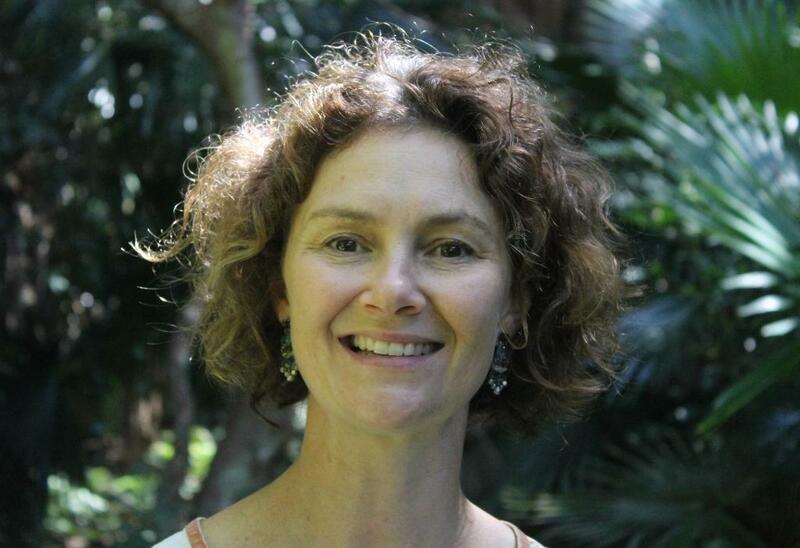 Katherine has also been the Secretary of the Regional Public Galleries Association of NSW and Pittwater Community Arts Inc. She holds a Master of Arts (Admin) from COFA UNSW. The daughter of Dr. Jan and Ken Roberts, who run the very successful Ruskin Rowe Press, publishing Historian Jan’s books, includingMaybanke Anderson, A Woman’s Voice and Remembering Avalon: Growing up in the 1940s & 50s, Katherine has been immersed in music, art and an appreciation of many cultures for as long as she can remember. Katherine is also a Pittwater girl, and the lady many of our resident artists call on for support, guidance, or to open Pittwater Art Exhibitions. This week we share a small insight into one of our community’s assets. I was born in Sydney in 1970. I lived in the same house for 20 years in Northwood, which is on the Lane Cove River. A taxi driver once told me it is the second smallest suburb in Sydney, after Strawberry Hills, which is more or less just a post office. What changes did you see while growing up there? It is a harbourside suburb, still with many original houses. Artist Lloyd Rees lived in Northwood, as did Desiderius Orban. Guy Warren lived not far away in Greenwich. Brett Whiteley grew up in Longueville. It was probably quite bohemian in its early days. Lane Cove was the local shopping centre with its once-modern plaza – which is still there. I think the wealth has moved in, to a certain extent now. It is still fairly low-rise, but getting a little more crowded as house size increases. Where did you play as a child? In the bush. We lived in James Street, which was a cul-de-sac. My two older brothers and friends and I would trot down to Woodford Park where there was a cricket net and swings and water-access. We would play there for hours. Below the house was a long staircase to a beach and sandstone cave. On the way down, there was a huge thicket of bamboo, where we used to imagine panda bears lived. Nowadays I’d think of snakes but back then, the bush was ours, as it was for everyone growing up in the ‘70’s. My kids play in our bush garden in Avalon. Currambena, which is an alternative pre-school in Lane Cove, and then to Lane Cove Public School from Kindy to Year 6 - that was fantastic. It’s a lovely old school which reminds me a lot of Avalon Public School; similar in size, but with a big oval and a big bull ring. I attended Wenona as my mum had been there. My best buddy went to North Sydney Girls. Wenona was just a 20 minute bus trip away, and the school is a small, independent non-denominational girls’ school. I loved it. A couple of friends from Lane Cove went there and we all made lots of new friends throughout the years. I then went to Sydney University straight afterwards; I thought ‘if I don’t just keep going – if I have a Gap Year - I may lose my studying momentum, I’ve just got to get into it and keep going’ – back then not everyone had Gap Years. So I went to Sydney Uni and did a BA majoring in Fine Arts and French. I did a six month Business Management Course and six months full time volunteering. That’s what you have to do in the Arts! I did three days a week at the National Trust’s S H Ervin Gallery on Observatory Hill, and two days a week at the MCA. I was lucky in that both of those resulted in jobs; part of that being in the right place at the right time. What did you do at these two galleries? The S H Ervin is a bit like where I am now at Manly Art Gallery and Museum. There was a very small staff, smaller even than Manly, so I did everything; from drafting media releases, to changing exhibitions, doing mail-outs, some research, and collection management. So this gave you an overall training in many aspects of working in an Art Gallery? Yes. Anne Loxley was the Director and I think she was 29 when she became Director; she was a leading light, very charismatic and confident. I was probably a bit shy back then and so she was very inspirational for me and it was great to work with her and then-curator Sarah Thomas, who ended up at the Art Gallery of South Australia in Prints and Drawings, so it was a great team to be with. In 1993, the MCA (Museum of Contemporary Art ) was still quite new. Bernice Murphy and Leon Parossien formed the Director/Curator team and I was helping in the Marketing department. I then got a Marketing Assistant job for a few months during that period. And was offered the Weekend Manager position at the S H Ervin Gallery. So when I was doing my Masters the following year at COFA (UNSW), I had a permanent part-time weekend job which supported me while at uni. That’s a phenomenal amount of work to be doing while studying though? Oh yes; I went to the Museum of Victoria to do an Internship, the Art Gallery of NSW, Art Exhibitions Australia and then S H Ervin and MCA, and volunteered at Manly Art Gallery and Museum during my first year of Uni doing one day a week every Monday - so it was five to six Internships – some longer and some shorter, during University. I knew I had to do that to build the C.V. and get my foot in the door. Like in any job, you can be given a lift up, but if you don’t perform, they’ll let you go. So being able to use contacts and move from one to the other to learn more and then making sure that you’re a good performer are vital. Did that all lead straight to Manly Art Gallery and Museum? The Master of Arts Administration in Gallery Management at COFA was fantastic. I went from the big Sydney University, where I was a little bit lost, to the more intimate environment and course numbers at COFA. After that year I did take a Gap Year and went with a girlfriend through the Middle East; Cyprus, Egypt, Jordan, Israel, Syria, Turkey and then to Europe; Spain, France and Italy. Were you looking at Art along the way? Yes and my friend, who now lives in America, was into Art as well. It was an Art Tour, and we were ‘out in the world’, experiences new places and cultures, having epiphanies every other day, akin to “is that how that works?!”. It was a great growth experience. While I was away I heard that the Programs Officer’s position was going at Manly. I also heard that Wollongong City Art Gallery was looking for a Public Relations Officer. I applied for both and landed the job at Manly! My family background is quite Avalon-centric; my Nan who moved to Avalon after WWII, mum grew up here, went to Newport Public School and compiled the local history book Remembering Avalon, among other historical works. That sense of community and connection and history, meant I would follow inevitably in those footsteps - and I haven’t left Avalon since I was 20. I really enjoy being part of the Northern Beaches community. I live in Pittwater, work in Manly, commute through Warringah, and am on the Board of Eramboo in Terrey Hills; I really am a Northern Beaches person now. What were you doing at Manly Art Gallery and Museum at first – what did the job entail? It was first employed as the ‘Programs Officer’, but over the last 20 years (including three years off to have two kids and one year’s leave without pay to travel through South and North America on a Study Tour). Michael Pursche was Director when I began, Therese Kenyon followed and then Jackie Dunn and now Michael Hedger, so I’ve had four different Directors and for each one it’s like a different job as each has their own style and bring different ideas and direction for the gallery. I started working with the collection and providing some curatorial assistance. Therese then started nurturing me as a curator. My first big curatorial exhibition was the 1999 ‘Celebrating Paradise –Artists of the Northern Beaches 1890 to 2000’. That was bringing to the fore significant Australian artists who had lived and worked here – Arthur Murch and Sali Herman of Avalon, Brett Whiteley’s connection to Whale Beach, Sid Long with his caravan on Narrabeen Lake, Herbert Badham on the cliff at Bilgola Plateau - but also bringing in the contemporary artists like Bruce Goold. This had never been before at Manly. Other Pittwater-based contemporary artists like Tim Hixson and Chuck Bradley were part of the follow-up exhibition ten years later, In Paradise – the Artist and the Northern Beaches. Those exhibitions really gave me the confidence to grow as a curator. The Offshore: Artists of Scotland Island & Pittwater's Western Foreshore exhibition in 2012 was another exhibition promoting the artists of Pittwater which was very well supported by the community. Tracy Smith and June Lahm and a few others approached me originally for a small exhibition of Scotland Island and Western Foreshore artists. I said I think we can develop this into something bigger – we still couldn’t include everyone, there are so many creative people on Scotland Island and the whole of the Western foreshores. The original 1930 room is the large gallery which is now called the ‘Theo Batten Gallery’. He was a wonderful illustrator or ‘black and white artist’ as they used to call them, who lived in London for many years. He retired to Manly, didn’t have a wife or children and bequeathed his entire estate to the Gallery. This was in 2003 and was 750 thousand dollars. The funds are held in Trust by Manly Council, and depending on the market, we will get between 20 and 40 thousand dollars a year. Five thousand of this goes towards the annual Theo Batten Youth Art Award as part of the Express Yourself exhibition run annually. The rest is allocated to Collection Management and Acquisitions. This may involve digitising the collection, painting conservation, valuations or acquisitions. So that’s the Theo Batten Gallery – what are the other rooms called and for? The middle room is the Rubbo Gallery, named in honour of one of the Founders, Antonio Dattilo-Rubbo. The Gallery was founded in 1924 but this building was dedicated as an art gallery in 1930. In 1982 the Gallery was extended east into West Esplanade Reserve, designed by the Heritage Architect Howard Tanner, and was one of his first public buildings. The Rubbo Gallery was added and the Museum created. In 2000, we identified there was a real need to showcase the work of local artists who may have perceived that the Gallery was not as open to local artists as it may have been. We’ve certainly been able to change that perception over time. We might get one application a week to exhibition at the Gallery, so creating this community access space has enabled us to exhibit the work of many regional artists. We pay the artists a fee of $1500.00, they do not renting the space. We’ve had many wonderful artists exhibiting in this way including Pittwater artist Mark Rhodes. Another curated exhibition called ‘The Hermans- Art In The Family Exhibition’ showcased the work of three generations of artists in the Herman family (Sali, Ted and Nada). What is in the Museum room at MAG&M? The Museum space changes a few times each year. At the moment we’re really loosening it up – you would have seen the exhibition featuring Midnight Oil where we took over the whole gallery and museum areas, including the Ceramics Gallery which became a Trophy room. As a Gallery and a Museum, we explore the blurring of the boundaries between social history and contemporary art. For the recent Joshua Yeldham exhibition we did the same, gave over the entire place, which was unprecedented for a Visual Arts exhibition. This year we have War Quilts, which will be shown in the Museum. Originally the museum section was set up to focus on Beach Culture and we still do that through many different exhibitions. We’ve also explored Beach Architecture, the indigenous stories of place through the exhibition ‘Gamaragal’ and currently we are showing documentary photographs from the past century through the Private Collection of Robert Dein in A Further Shore: Bombs, babes and sons of beaches. You now have a fair amount of experience in being a Curator for exhibitions - How would you describe being a Curator, or how do you approach that? You should see the exhibition planning document which is pinned on the wall above my desk which maps out 2015, 2016, 2017 and ideas for 2018. From this we see we have seven changeovers a year, it used to be ten. The rationale now is to have fewer exhibitions to enable us to focus extra time on presenting public and education programs, publicity, and to have more the time to be ‘with the exhibition’. By that I mean, it was like once a new exhibition is hung, back to the desk we go full steam ahead working on the next exhibition. By slowing the cycle, we can support the artists more and give ourselves a chance to stop a little and be with the exhibition. With the seven changeovers we have it divided into what’s happening in each room. These include our annuals, like Express Yourself, then we have Biannual exhibitions like The Australian Ceramic Association exhibition we partner with, which is every two years. We also try to link in with other big events that occur which leads to new ideas to shape the exhibitions program. There’s Sydney Art Month in March, the Heritage Festival in April which link in with our Museum, the Head On Photo Festival in May, then the Manly Arts Festival in September. For that Festival, the gallery is also transformed into a performance space where we run forums, concerts presented by the Sydney Chamber Music Festival, and other family-focussed events. Yes, and we do all of that in-house. So as well as curating, we co-ordinate the Manly Arts Festival and run Manly Council’s Public Art Program and manage a collection of about 5,000 items. This year is unusual in that we’re hosting three Touring Exhibitions back to back. We usually host one a year. You may think this would lessen our load and it does to a certain extent, but we’ve still got to program each exhibition and understand what the exhibition is all about when you open the crates! There’s also the physical work or how you place each piece, not just the arrangement but you sometimes see photos of gallery workers measuring with tapes, working out the natural light and article light – there’s work not seen…. Yes. We have a very good team though. I think the Midnight Oil exhibition, for which we received a grant from the Australia Council, allowed us to employ an Exhibition Designer, a Graphic Designer, Technical Assistant and an Installation Manager. Having a larger team full of professionals to pull off such a large and complex exhibition was just fantastic. Now we can draw on them if we ever need them. We have a good pool of exhibition changeover staff and a fantastic team of volunteers who we rely on. We have the ACO VIRTUAL installation coming up next, which will require turning the Access Gallery into a blackened space so they can install seven projectors for what will be an interactive experience with several musicians from the Australian Chamber Orchestra, and Richard Tognetti, who is now a Manly local and will open the exhibition. It’s fantastic to be able to support events like that. Then we have Stephen Bowers who is a Ceramics Artist. MAG&M specialises in ceramics through its collection and exhibitions program, and we change the ceramics gallery twice a year. A special exhibition I am going to really enjoy this year is called ‘Out of Quarantine’. Does that link in with the Quarantine Station – or ‘Q Station’ as it is called now? Exactly. It will be an exhibition in the Museum section. I am working with the Q Station staff. We got talking about what we could work on together and came up with a concept; I invited four artists to be part of the project. Last Monday we met at Gallery for a briefing session, then went on the Eco-Hopper to the Q Station, looked at the museum, talked about a project Sydney University is conducting associated with all the sandstone engravings, then Rebecca Anderson the curator took us up to their collection storeroom. The challenge for the artists is for them to select an object or a group of objects from the Q Station collection to respond to. Then the objects will be displayed within their art installations. You may have a few ghosts coming along with them as part of that! Perhaps, yes. So that is an idea of curating. We are also collaborating with Eramboo and the National Parks and Wildlife Service for a large exhibition project for December 2016, called Ku-ring-gai PH. We will be inviting Artists and Scientists to collaborate and create, involving regional and Australia wide artists. That’s an incredibly dynamic Program. That’s why I’ve been at the Gallery for nearly 20 years! It and I never feels stale. Each year and each artist have their unique character and challenges. I get to work with so many amazing artists. So why art – why did choose to study Fine Arts? There was always art on the walls at home. Lloyd Rees lived down the road. I used to go to exhibitions and I suppose my interest grew over time. We went to Europe a few times when I was growing up, and mum and dad are very interested in the arts. We’d go to theatre, concerts and galleries. Dad was on the Board of the National Museum of Australia when it was being established. He knows Bob Edwards, who was the head of Art Exhibitions Australia, so art was always had art as part of our lives. It’s in our DNA. Was there a moment where you went ‘that’s it – that’s what I want to do’ though? Yes. I knew I wasn’t going to be an artist and I never really toyed with that idea, but I thought it would be wonderful to work with artists. In Year 11 I thought, right; I would love to work in a gallery, what I need to do is get a BA, and chose I did tutorials and research, Art History, studied some fantastic courses and coupled that with doing the voluntary work. So I was very lucky that I had that idea and that direction early on. Some people struggle through their 20s without knowing exactly what to focus on. I feel fortunate that I didn’t have to struggle with finding a purpose. You’re esteemed in our community and frequently asked to open Pittwater Art Shows – how do you approach that? It’s part of Manly Art Gallery and Museum’s Outreach Program that we develop and maintain direct links with the community. 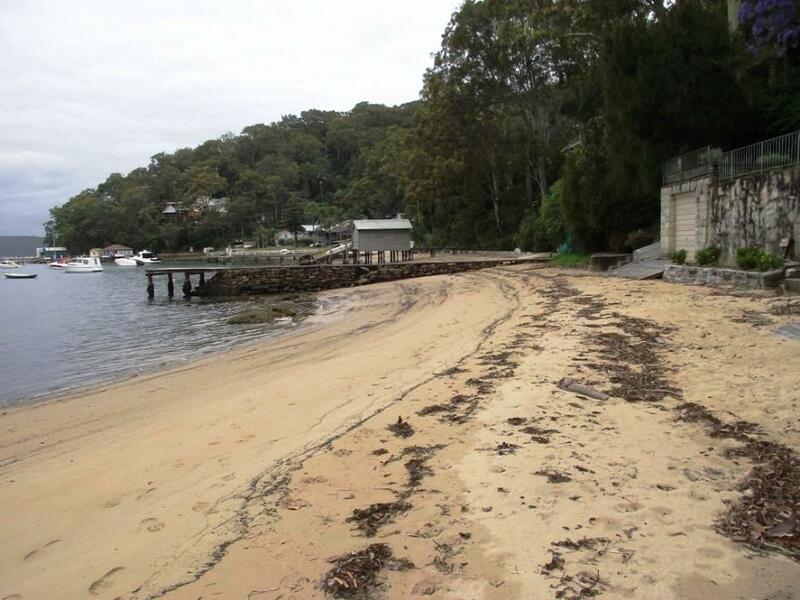 And the fact that I’m a Pittwater girl means I can’t say no! I’m always happy to support anything being done here and am always honoured to be asked. I know many of the artists in this community, or at least know their work. There are other emerging and even more senior artists whom I haven’t met yet. Jill Ferrall for instance, whose work is very interesting wasn’t known to me prior to her being in Artspot this year. There are still artists working away out there who I haven’t come across; people who are taking to are later in life, or people who have moved to Pittwater only recently and had worked elsewhere prior to then. Being asked to be involved has obvious benefits for my work too. I always try to write a speech specific to each exhibition, and include in new or thought-provoking ideas. As a ‘behind-the-scenes’ girl, ‘ I’m really interested in how things got to where they are and why they are so. I enjoy being part of meetings where ideas are generated and the exhibitions develop. Meredith Rasdall and Cindy Goode-Milman who drove Artspot 2015 are incredibly energetic arts community members. Through Pittwater Council, I participated is the establishment of Artzpace with Zoe Johnson and Judy Wilson. I was on the Pittwater Community Arts Committee for four years. So doing this helps me understand where things have come from and where they’re going, and why they attract artists. All the artists in this community work so hard because the success of these events relies on their voluntary work. Meredith, for example, works so hard and has for many years promoting importance and value of the arts – especially founding Pittwater Artsfest – every time there’s a free event going on for children, a workshop engaging them with art – there’s Meredith – and there she’s been for decades – an amazing example of going above and beyond. So in one sense I’d like to see myself a bit like Meredith in that role of giving and doing voluntary work. Meredith does many more hours than me in Pittwater, and has been a trailblazer, even with getting the wet room arts space upstairs at Avalon Recreation Centre. To me it’s an honour to be asked to be involved and an important part of remaining engaged with all of what is happening in regional arts. To be provocative for a moment Katherine, and from your experience and perspective; what is the role of art in our culture – do we really need it? There are so many indicators that show what makes a healthy community is the existence of its arts in all its many forms. It’s the lifestyle, sport, the environment, the breadth and depth of arts, that creates and shapes our ‘culture’. Art can cross so many boundaries. Artists respond to the environment. Artists create because they are inspired by place, because they’re given the opportunity to create – they know the culture of what’s been before us, history and stories, they have access to amazing galleries in the city, we have people who travel and bring back experience they then express – it’s a really big question you ask and many essays, books and talks have been presented on the subject. And it’s not just the visual arts that is key to our culture, there’s the whole diversity of creative arts. Music brings light and life. Visual art is about interpreting the world around us. In Manly, just as in Pittwater, we’re really trying to support the whole platform of the creative arts - performance, music, visual arts, every medium there is. I think that whole former argument that the arts are elitist or ‘high-brow’ has been smashed by now. And looking at cultures where arts have been or still are restricted, or even banned in some eras and countries and under some regimes, is a great loss to those cultures. It’s a very personal experience, the creating, but as Joshua Yeldham said at one of his talks at the Gallery, ‘I make these works for people to enjoy and to engage the senses’. When Lou Klepac, who is a famous curator and art publisher at Beagle Press we are working with at the moment, said he gets up in the morning and by the time he’s reached the kitchen to make a cup of tea he has passed 20 art works on his walls and has thought about Europe, he’s thought about the lines of a drawing or the art of etching, he’s thought about the colours in a painting – and that gives him energy. I am always shocked when I go into a house devoid of art. Not everyone has developed or has the confidence in their own taste. Other people will say ‘I like it’ or ‘I don’t like it’ and either is fine – the more you learn about art the more you can appreciate the diversity and understand what you like and have confidence in your choices. I, as a curator, didn’t start with great confidence. I’ve grown through learning, through expanding my understanding of art. It’s a lifelong study, just as music is, just as the study of botany expands your knowledge or the natural environment, we’re all always learning. I made this point in a recent speech, that we should all be ‘artists’ our whole lives, creating. Even I need to do more creating in that practical sense – whether it’s my home and the way books are arranged on a shelf, even something as simple as that, is my creation as well – but there is something in us all always creating and giving us a sense of connection with the many diverse forms of art, of what we like, of how that is expressed, how that is interpreting our world. That reminds of the educational aspect of Manly Art Gallery and Museum; there’s always, with each artist, an opportunity to engage further with the works – sometimes a talk given by the artist, a workshop, an insight shared by the curator through essays – always something or same way to get further involved in the exhibitions, and even understand more of the depth involved. The more you can share or provide a way in to the work, the better the experience for the audience can be; do you just put a label up with the name of the artist and the title of the artwork, or do you add their Artist’s Statement, the voice of the artist – so that’s one way in. Another way in is to have the artist talking about their work to really enlighten those who want to know more. Not all people like standing there reading labels and I for one don’t read the newspaper as much as I probably should, but I will listen. When I’m working here at home I’ll have on Radio National or some form of current affairs – so aural engagement, to hear the stories brings the personalisation of art, the artist behind the artwork. The other aspect of this is the professional development of the artist themselves. It’s important that they are able to articulate what their work is about. If they don’t write about it or speak about it and just do it, it can exist in a vacuum. Artists these days have to wear so many hats. They don’t need to be blatant self-promoters but not many serious artists don’t have websites– and on these they need to communicate not just their art medium but where it comes from. You can do this in a modest way – simply articulate what it is. So the educational aspect is for the artists’ development and for the audience as well. We don’t have an Education Officer at the Gallery unfortunately but we still run a Life Drawing Studio and Kids Art Adventures and the School Holiday Programs. Sally Mayman, the local photographer, recently ran a Teens Photography Workshop as part of our School Holiday’s Program, which she has done elsewhere – booked out – fantastic workshop. Photography is accessible for children, and is something they feel they can do and it’s a great medium. Chris Langlois who lives in Avalon and I worked together in 2013 on a survey exhibition of his work, Points in Time. Photography is the starting point for his work. Similarly, for Chuck Close, whose work is being exhibited at the MCA at the moment , photography is a starting point for him. 10 years ago, 20 years ago, it was debated that it was not done for painters to admit that they worked from a photograph. The whole debate about whether a work on paper is as valuable as a work on canvas or linen has gone too. Some people may still wish to debate this, but not in my view – they are all of equal worth, all valid, all art. It’s the same with prints – is a digital printed artwork an artwork – as a manually printed print is – well yes, but just in a different way. Work life balance – this is an amazing timetable you meet each week all year – how do you balance being a mum, running a home, and all you do through your work as well as the voluntary work on top? Well, it is a challenge sometimes. I have to be very organised, and sometimes you have to be able to say ‘no’, although that is rare. It can also come in fits and starts – sometimes it can be quiet on the voluntary front and then it really hotted up at the end of last year with Eramboo and Artspot, and then I had a break. I’m very centred too – I don’t go up and down – you have got to know your limits, you have got to know yourself. You have got to have times where you know you can just crash in front of the TV. We also have our home here, this is my sanity, being able to be surrounded by this greenery, the peace of green. With a large block of land comes gardening but that is also enjoyable and very creative. You know what your priorities are, especially when you have children and respond to their and your needs at the end of the day. I approach it through simply knowing when I’m at work I’m at work, when I’m at home I’m at home. Though, once the kids are in bed of a night I might do an extra hour – I can’t do any writing at work, any essay that must be written, there are too many distractions. I have a Lloyd Rees essay I have to write for our Christmas exhibition called ‘Destination Sydney’ – so I’ll work at home for that. The diversity of each year keeps me engaged and in many ways gives me energy. Even though we have the cycle of each year and its regular commitments, every artist is different, every exhibition is different and throws up its different challenges and joys. Ben Brown, a Manly local who was in the Access Gallery over Summer, said ‘the exhibition experience exceeded all my expectations’. That’s what you want – that’s what I want to hear, that it was wonderful for him. I recently rediscovered Mackay Reserve and those incredible twisted Angophoras and that view over Pittwater. Paradise Beach – go to Paradise Beach on the King Tides, when the water is coming over the jetty, and it’s crystal clear and just beautiful. Avalon rock platform, the south end under my parents’ place – walking all along there with the rock pools and then jump at the pool at the end. They would be my three favourite spots. I had my 21st here in this house when it was my parents home. A jazz band was playing and in my speech I said ‘my motto in life is to be happy’. Now, 23 years on, and having maturity on my side, I would evolve that intent to say my motto would be ‘to be joyful and grateful’. This multi screen interactive audio visual installation features musicians from the world-renowned Australian Chamber Orchestra (ACO) playing music by Bach, Grieg, Smalley and Piazzolla in a remarkable, immersive multidimensional experience. ACO VIRTUAL offers an innovative and memorable experience to anyone who loves music, visual art or technology. The installation is innovative in three areas: the performance capture techniques that were used to record all the musicians separately, but playing at the same time; the post production processes which created the many audio/visual layers; and the installation control system that allows audiences to feel as if they are conducting and playing with the Orchestra. ACO Virtual is produced by the ACO and Mod Productions. Stephen Bowers creates imposing and virtuoso works by applying a variety of decorative techniques to three-dimensional forms. Using large vessels and other objects made by various collaborators—including wheel-thrown plates, vases, and mugs as well as hand-made wooden surfboards—Bowers combines art historical references with Australiana motifs and icons of popular culture: from George Stubbs’ famous ‘Kongouro’, the blue willow pattern, and the designs of William Morris, to cockatoos, the Sydney Harbour Bridge and the cartoon character ‘Boofhead’. His work is celebrated as part of JamFactory Icon Series, showcasing the achievements of South Australia’s most outstanding and influential craft and design practitioners. MAG&M is hosting this touring exhibition by JamFactory, demonstrating its continued commitment to building institutional partnerships and supporting Australian ceramics practice. This exhibition is supported by Visions of Australia. MANLY'S FINE EXAMPLE - Various schemes of a novel character have been successfully carried out from time to time. The latest was in operation during the holidays. Some of the local 'live wires' organised an art exhibition and offered £100 in prizes. They erected in the park near the centre of the town a special pavilion, of neat design, constructed of fibrous cement, with iron roof. The whole work of construction was carried out in 10 days, evidence in itself of the energy and enthusiasm displayed. Over 600 pictures were sent in, including some of a no-competitive character. A selection committee set up a certain standard, and finally selected 280 of the pictures. These covered the walls of the pavilion and formed a most interesting- art display of oils, water colors, and black and white. OPENING OF THE MANLY ART GALLERY. 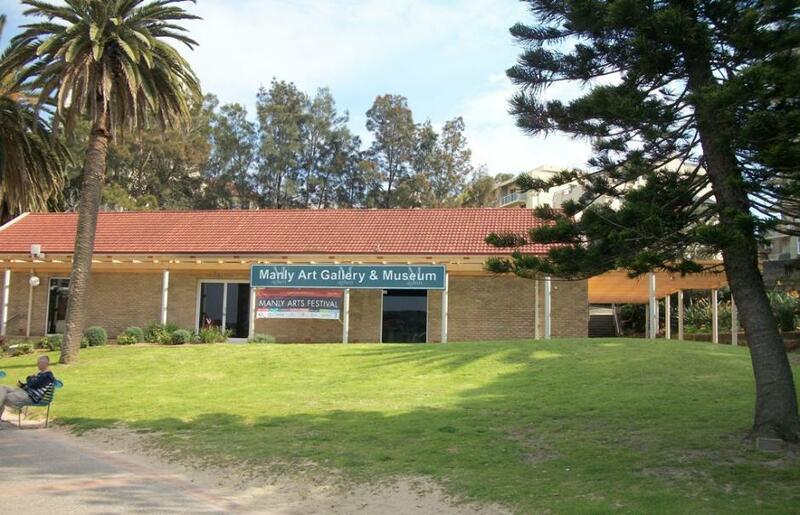 Today we illustrate the new Manly Art Gallery, which is situated on the Western Esplanade. Until lately it was used as a concert pavilion, and was controlled by the local Municipal Council, but a committee of residents and members of the council converted the premises into an up-to-date art gallery. The old building was almost demolished. An ornamental front and a picturesque garden setting add to the general appearance. The remodelling scheme was carried out by Mr. J. Porter, builder. A number of leading artists have interested themselves in furnishing the building, and many of them have contributed pictures to hang upon the walls. Mr. H. R. Marriner is the secretary, and Messrs. C. Bryant and Datlllo Rubbo, two local artists, lent much assistance to the work.